Wondering where to stay in Amalfi Coast? You’ve come to the right spot! I’ve visited many times, have countless local friends who were born and raised there (jealous), and have done a large amount of research to come up with the below list. The Amalfi Coast is one of the most beautiful destinations in the world, and the hotels and other accommodation offerings fit that same bill. There are options for everyone - no matter what it is you are looking for. Amalfi Coast villas? Got it. Hotels in Positano Italy with pool? Check. Amalfi Coast resorts? Got those too. One thing to note is that the Amalfi Coast is POPULAR. Because of this the best hotels and accommodations fill out months in advance. No joke, they fully sell out. The moment you know the dates you’ll be visiting you should book your accommodations. What about the best town to stay in Amalfi Coast? If you’ve read my other posts, which hopefully you have, you likely know by now that I recommend Positano above all else. What about where to stay in Amalfi Coast without a car? Again, Positano. This is because it is not incredibly easy to get from town to town. You can do it, and I recommend you do (click here for 8 things you absolutely cannot miss in Positano or click here for the best Amalfi Coast itinerary) but you want to stay in the best town because that is where you will spend the majority of your time. And Positano is THE best town. I’ve been to them all, just trust me on this. But since not everyone wants to trust me, or because you want to stay somewhere more secluded like on the cliffs of Amalfi or Ravello, I have included the best options for those as well. So for everyone wondering where to stay in Amalfi Coast, here are the best hotels, B&Bs and Airbnbs in the most beautiful spot on earth! In case you missed it, click here for everything you need to know about visiting Positano! Hotel Poseidon is not only one of the best hotels in Positano but also one of the best Amalfi Coast hotels. If you are looking for where to stay in Positano - this is it! And if you are looking for Amalfi Coast hotels with pool, this is also for you. Hotel Poseidon is a stunning, family-run, 4-star hotel in the heart of Positano. As one of the best hotels in Positano Italy, they also have one of the most beautiful views. You can enjoy these views from your room (depending on which you book), the lovely on-site restaurant, and the pool. Make sure to grab a meal at Il Tridente, serving breakfast, lunch, and dinner using only local ingredients, and don’t miss drinks on the terrace at sunset. Of all the places to stay in Positano Italy, this is by far one of the best options! The staff is phenomenal and will make you feel so at home. I cannot recommend Hotel Poseidon more! Sidenote: this is the same spot you’ve seen on my Instagram over and over again here, here, and here for example. If you are looking for a bed and breakfast Amalfi Coast, Dimora del Podesta is for you. It is an absolutely wonderful b&b ran by the sweetest local family. It is incredibly reasonably priced and the location is absolutely perfect. From the main beach/center of town it’s about a 15 minute walk (uphill but very doable) or you can take a bus or cab there if need be. Staying here will make you feel like a resident of Positano, not a tourist surrounded by huge crowds of people. Each morning they serve you breakfast on the terrace which overlooks the Fornillo part of town. It is magical. Speaking of, every room has a balcony where some of my favorite Positano memories made while sitting on the balcony, drinking wine, listening to music (often live music from the street below) and people watching. Speaking of drinking wine, the main kitchen area has wine that you can take as you wish. You simply write down your name and what you took on a notepad for them to add to your bill! Very convenient. I wouldn’t call this a budget option but if you are looking to do Amalfi Coast on a budget this will get you somewhat close to that (at least when you compare it to all of the Positano luxury hotels). I have had numerous friends, blog readers, and Instagram followers stay here at my recommendation over the years and they've all loved it as well. Tell them I sent you and please let me know if you stay here! I’d love to hear how you liked it. 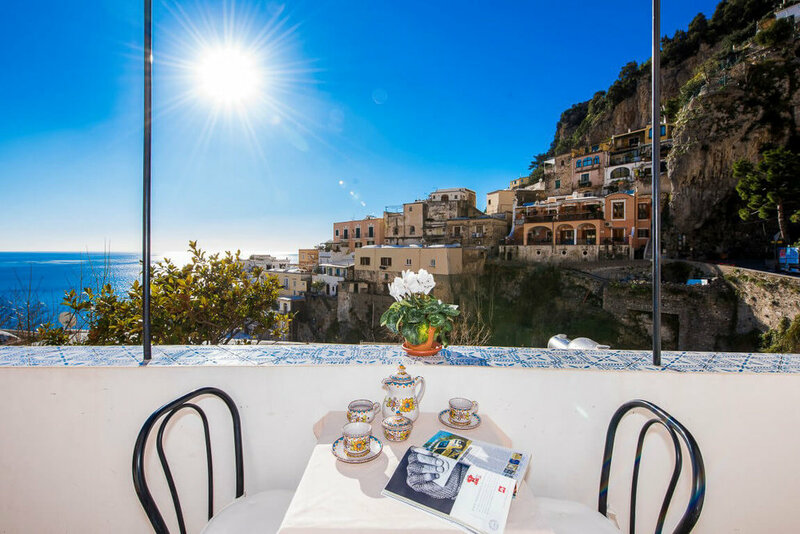 For those looking for the best place to stay in Amalfi Coast, on an Amalfi Coast honeymoon, or searching for Amalfi Coast hotels 5 star, Le Sirenuse is the best of the best. 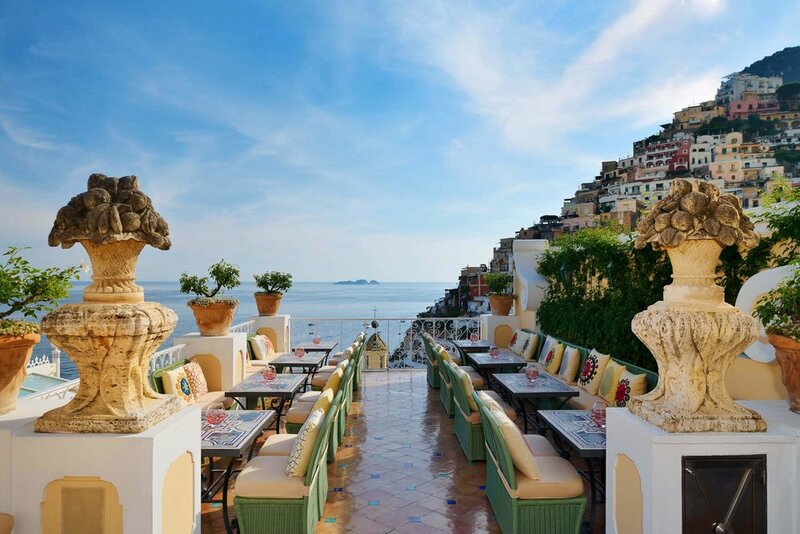 It is Positano’s most iconic hotel, 5-stars, and the most sought after place to stay. If you are able to splurge a bit (ok, a lot), this is the place to do it. 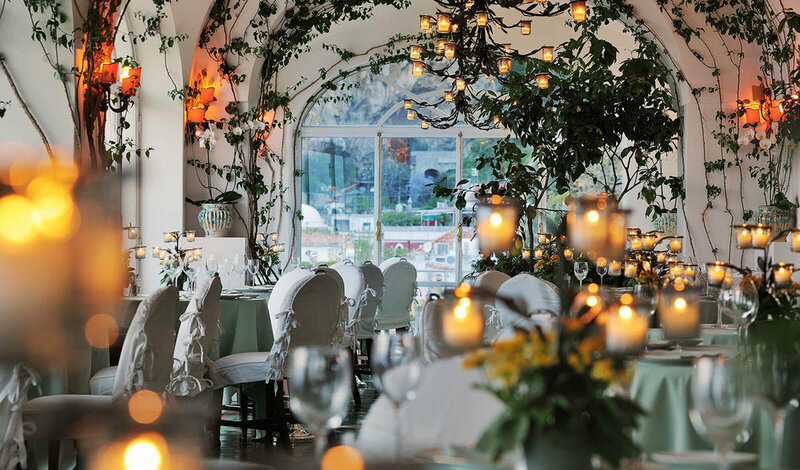 Aside from being one of the best 5 star hotels in Positano, Le Sirenuse is also home to many highly recommended places to dine. 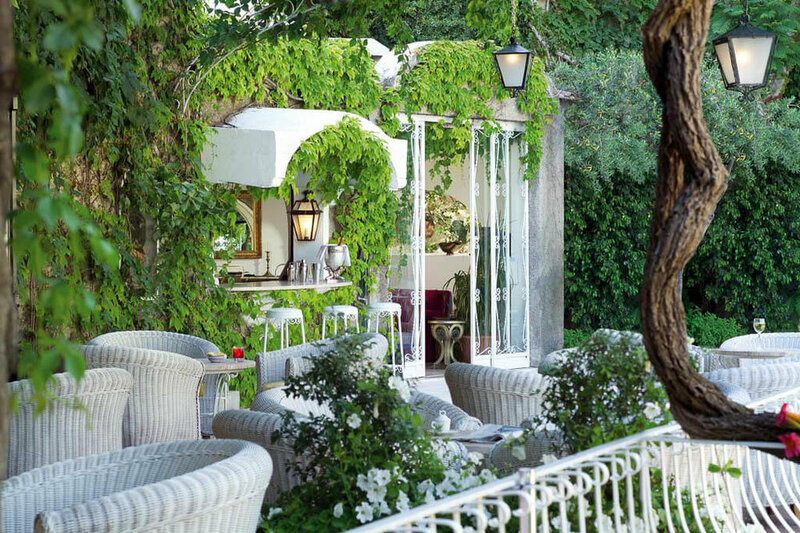 Their champagne bar and grill has one of the best views in town (opposite angle from Hotel Poseidon) and their La Sponda restaurant is Michelin-starred. Their newest addition, Franco’s Bar, is a favorite even amongst my local friends who seem to end up there every night. Searching for Positano hotels with pool? Check. Top hotels in Positano? Check. Boutique hotels Positano? Check. Positano shopping? Check, they have on-site boutiques! You name it, Le Sirenuse has got it. 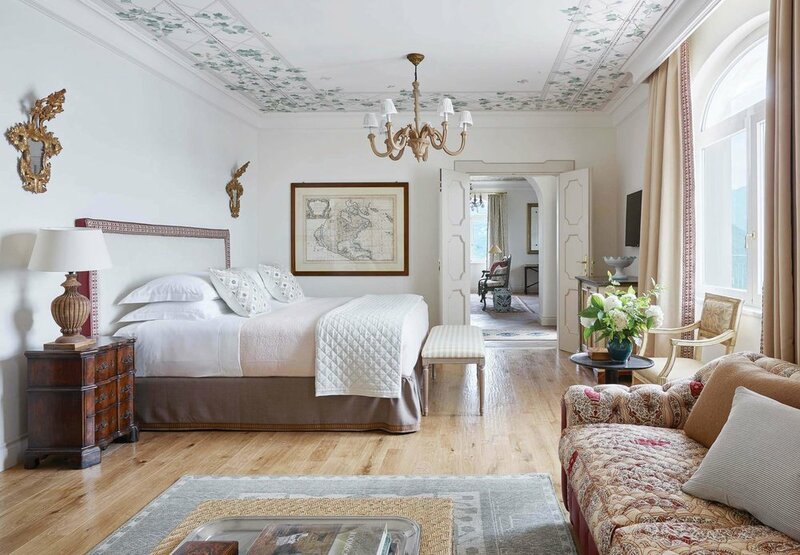 Another of the best places to stay in Positano and an Amalfi Coast hotels 5 star, Villa Treville! Also perfect if you are looking for Amalfi Coast villas because it’s not your typical hotel but actually a collection of five villas surrounded by gardens and private terraces. 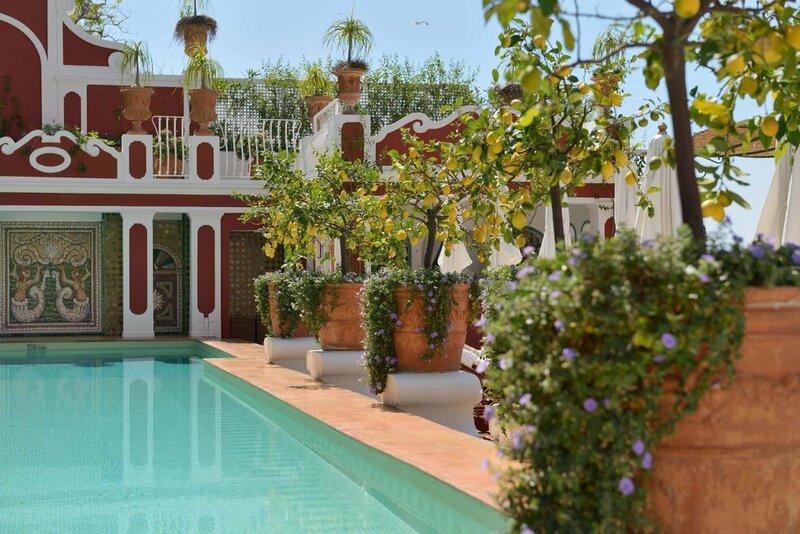 If you want a bit of privacy, Villa Treville is for you. Plus it’s unanimous 10/10 rating on Hotels Combined kind of speaks for itself, no? 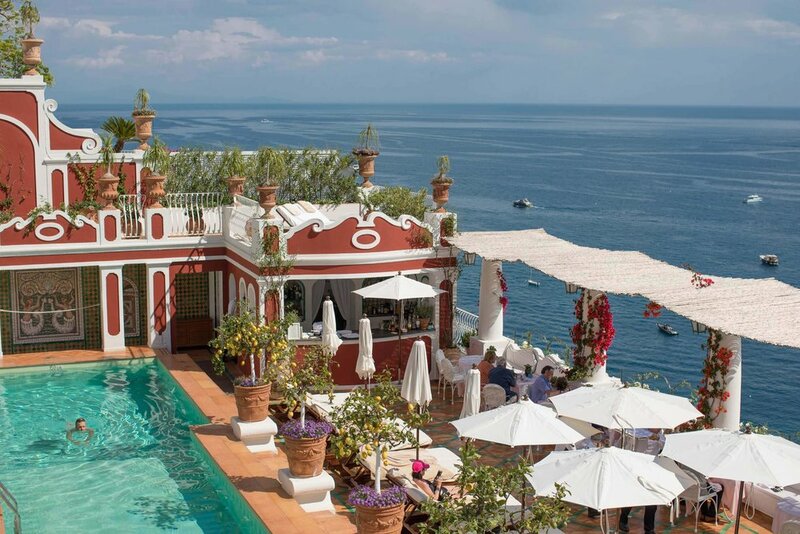 It’s no wonder Villa Treville is one of the top hotels Amalfi Coast! Looking for Positano hotels on the beach? Check out Treville Beach Club. Click here for more info. If you are wondering where to stay in Positano and are open to non-hotels, this Airbnb is a great option. It fits up to six people, is an entire house (no shared rooms here), and even has a hot tub! 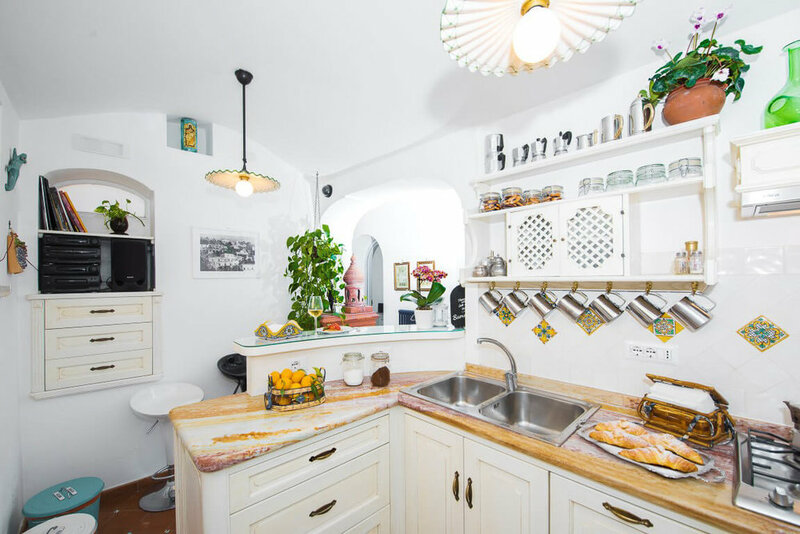 It’s located right in the center of town, just one minute from the main beach in Positano, and comes with a full kitchen. If you do have a group of six, this is actually quite inexpensive when you break it down per person, starting at just $455/night. Another b&b Amalfi Coast option in Positano, this apartment fits up to four. It’s located on the Fornillo side of town, my personal favorite as it is less touristy and much more local. After 100 reviews it has a unanimous 5-star rating, how could you not?! 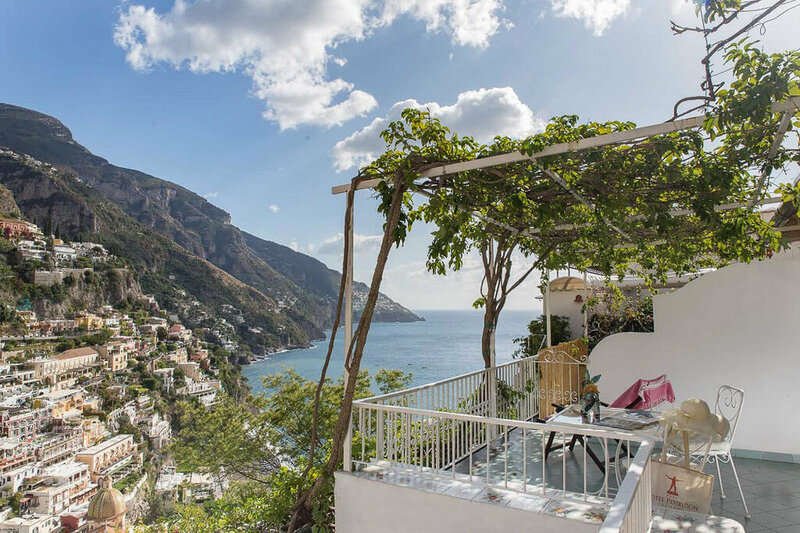 If you’re on the hunt for Amalfi Coast villas, this Airbnb is a great option for Amalfi Coast lodging. Also if you are hunting for hotels in Positano Italy with pool but are open instead to a private pool, don’t miss this! It fits up to eight people and has views from every room! It also comes with daily housekeeping, optional groceries stock (at an additional cost), and personalized assistance before and during your stay. Side note: this property is new and doesn’t have any reviews, but the host does have reviews for other properties and is a superhost so they must be great. You all know by now that I think Positano is the best town to stay in Amalfi Coast, but if you do want to book something elsewhere I have some great options for you. NH Collection Grand Hotel Convento di Amalfi is one of the best hotels in Amalfi, the namesake town for which the coast is named after. This place is as luxurious as it gets - with unmatched views from their spot perched on a cliff. It’s actually located in a historic 13th century monastery! The hotel has 53 rooms ranging from Superior to Presidential Suites, most of which have beautiful views and/or a balcony or terrace. There are also two restaurants on-site, one with an outdoor terrace, a bar, fitness room, and a heated outdoor infinity pool. 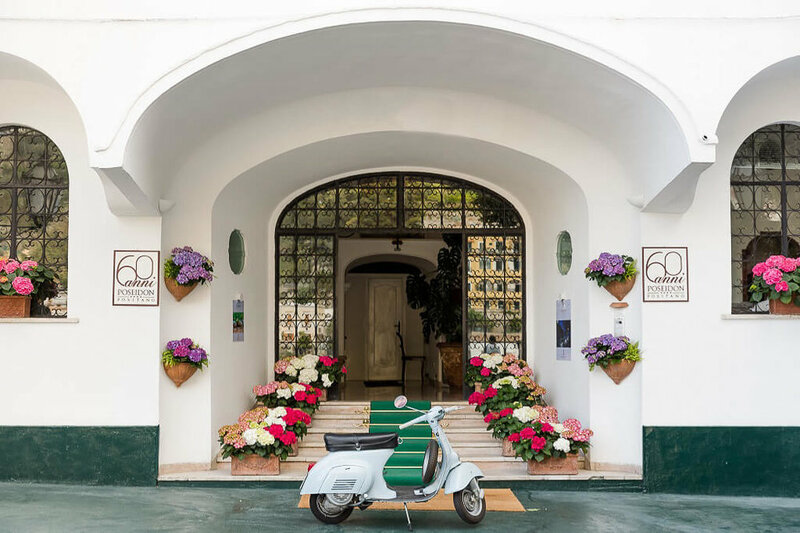 If you are looking for luxury hotels Amalfi, this is your spot! 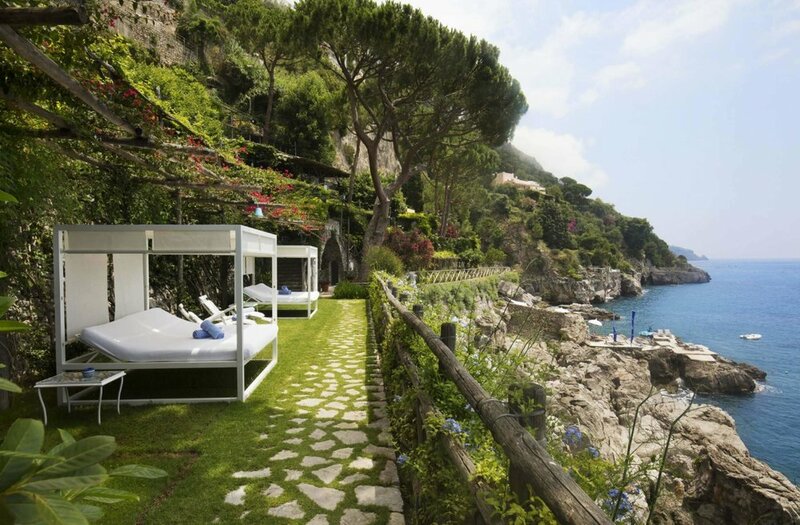 If Ravello and privacy are of interest to you, Belmond Hotel Caruso is for you. 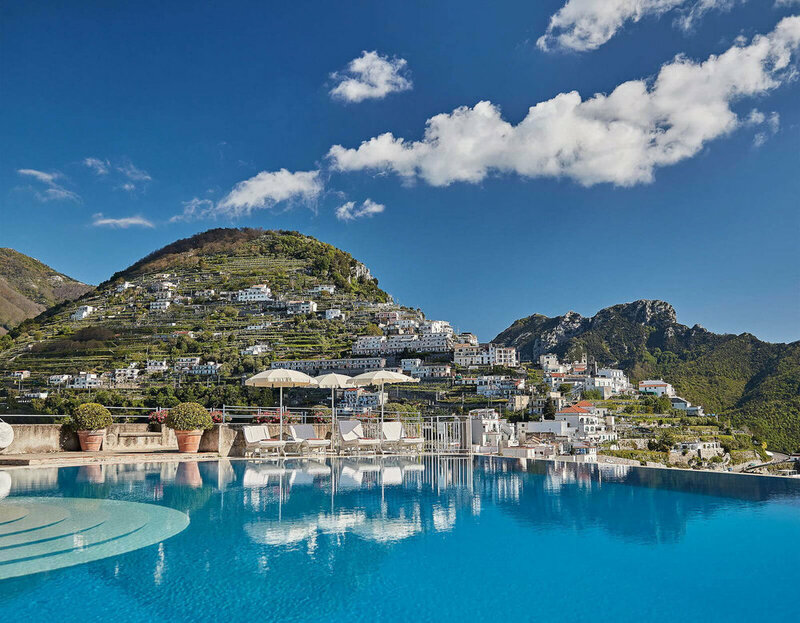 As one of the most beautiful places to stay in Amalfi Coast, it is home to century-old gardens and a jaw-dropping infinity pool which is heated so that you can enjoy it year-round! There are just 50 rooms and suites, an on-site restaurant with panoramic terraces, a poolside bar, complimentary boat excursions available, and more. 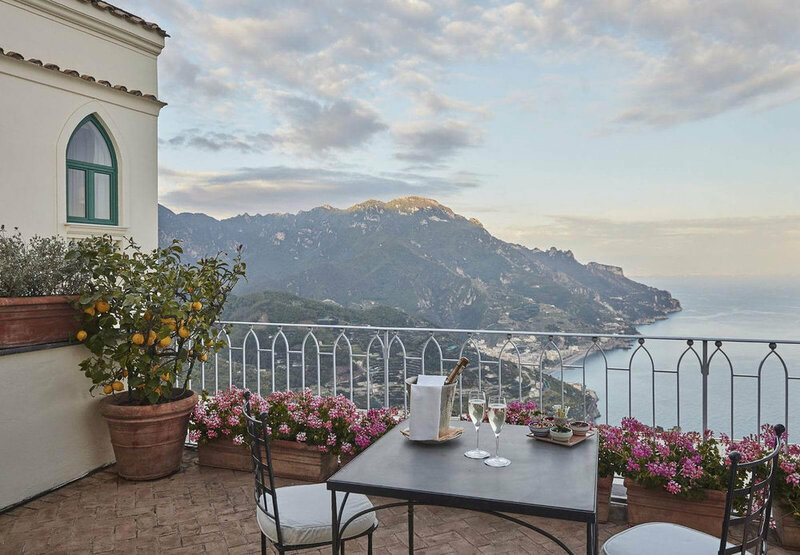 This Amalfi Coast luxury hotels is one of the most beautiful I have seen — the perfect 5 star option and the best of all Ravello Italy hotels! The town of Atrani is the smallest town in all of Italy yet also one of the most beautiful! I’m rounding off this list with two beautiful Airbnb options in this town. This Airbnb fits four guests, has a 5-star rating after almost 100 reviews, and is owned by a superhost. The terrace offers unreal views of Atrani, one of the most picturesque in all of the coast, which is what makes this spot such a great option in my opinion. Last but not least, another Atrani option, this time slightly larger. This one fits up to six, has a 5-star rating after almost 100 reviews, and is owned by a superhost! Sound familiar? Haha. The terrace also offers unreal views of Atrani. Do note that it takes 100 steps to get here or a 1 Euro elevator fee which might add up depending on how often you need to go to and from.